Much of the work of Mexican sculptor Yvonne Domenge references nature, architecture and a fascination with geometry. 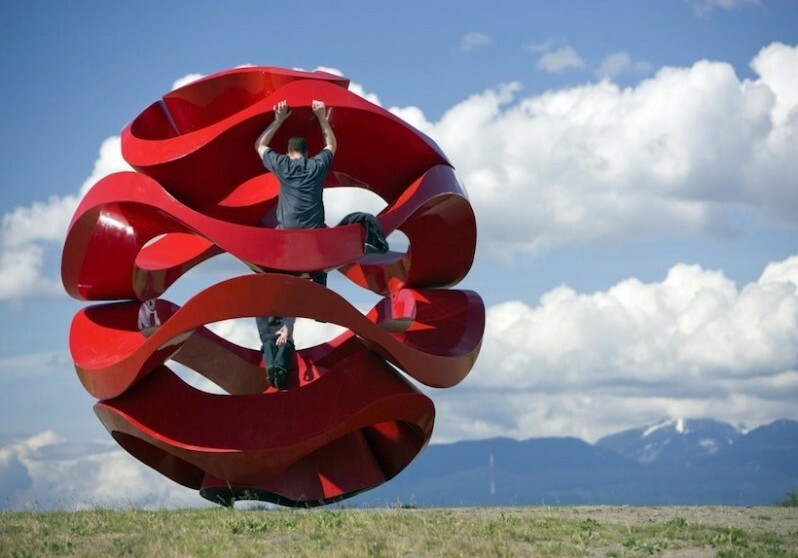 In this intense red circular sculpture, installed as part of the 2009-2011 Vancouver Biennale exhibition, Domenge provides us with an elegant decorative form full of seamless curves and movement. The circular form is rhythmic and undulating, creating the sense of a waving motion within a contained form.